I’ve learned a lot things about running over the past few weeks that have made the biggest difference in my training. Here’s what’s been most helpful to me as I prep for the big day. Hey, guys! I can’t believe I’m so close to running (and hosting!) the Women’s Health Run 10 Feed 10 race in San Francisco. 1. Shoes Really Matter. When I first started getting ready to train for the 10-K, I talked to a running specialist about what kind of shoes I should be wearing when I hit the pavement. As it turns out, I tend to pronate my feet, or roll them out, when I run. So, I got some special insoles to help fix my form and run better. 2. Your Running Environment Can Make All the Difference. As my training progressed, I was nervous about running outside because I thought people would judge me for not being able to go very far without stopping. But since I travel quite often, I realized that slipping on a pair of shoes and hitting the road is a great way to see new places, which helped me get over that fear. 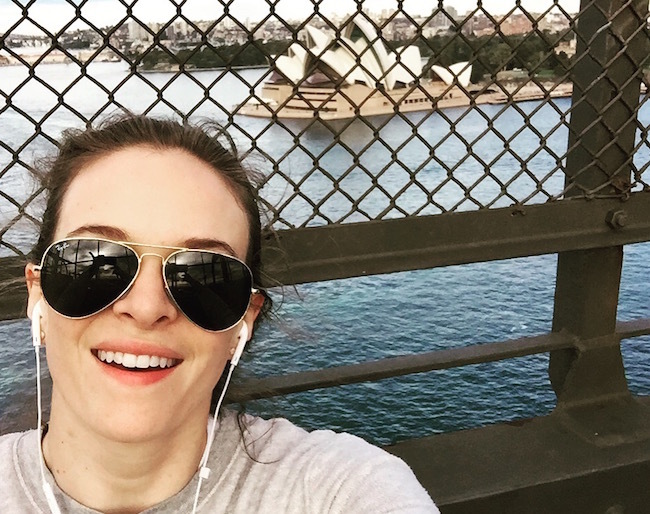 I ran over the Sydney Harbour Bridge while visiting Australia and jogged around the seawall in Vancouver. It was so fantastic to breathe in that fresh sea air. 3. Don’t Leave Home Without a Trusty App. Since I love running to music, I’ve been having fun switching up my playlists (although Taylor Swift is definitely a staple). Besides T-Swift, the Women’s Health Run 10 Feed 10 app, which finds 10-K running routes in your city and coaches you through a race training plan, has also been a key part of my preparation. One of my favorite parts is when the app tells me that I’ve run another half mile. It doesn’t seem like a lot, but it always feels like an accomplishment when hit that mark! 4. Compression Socks FTW! One of the biggest struggles I’ve had with preparing for race day is shin splints. I’ve read that it’s typical for new runners to get these aches in in the front of your legs and that wearing high heels on the regular, which I do at work all the time, can make the pain worse. Luckily, a few weeks ago, I caught one of my co-stars wearing compression socks, and they quickly became my new best friend! Popping these babies on while I recover from training has made such a huge difference in my achy lower legs. Do you have any tips, playlist suggestions, or just want to say hi? Drop me a tweet at @dpanabaker. I would love to hear from you!